Home » News » Redds Biergarten – Opening Soon! Redd’s Biergarten in Newark, NJ is scheduled to open this Fall. They will be located directly across from the Prudential Center in the heart of Newark’s Arena District with entrances at 218 Market Street, Newark & 37 Edison Place, Newark. Keep up to date with their opening date via their website or social media after which time they hope to see you all there! 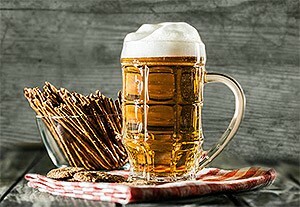 Their traditional German Beer Garden will have a distinctive urban flare and provide their patrons with a gathering place featuring multiple bars, flat screen televisions, and long communal tables that encourage socializing, meeting new people and stimulating conversations over Authentic German and American food, wine and of course BEER!